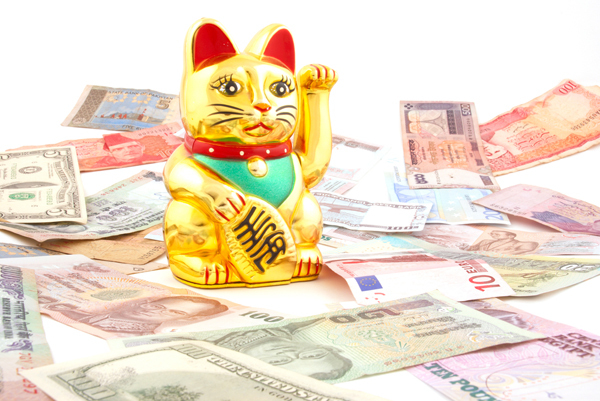 If you’ve ever visited a Chinese or Japanese restaurant, Asian supermarket, or any Chinatown shop for that matter, you’ve probably noticed a little cat figurine perched quietly by the cash register. 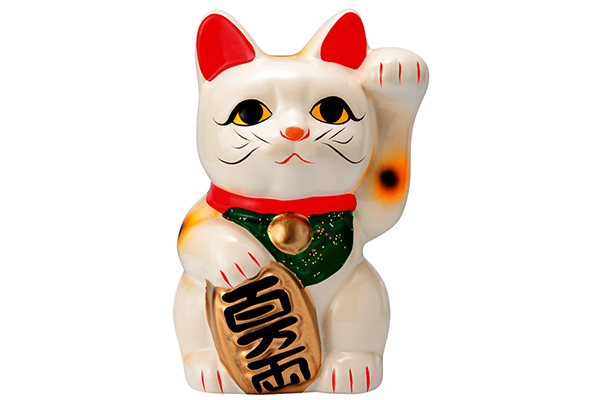 This Fortune Cat, or Maneki Neko, is a lucky cat charm that’s very popular in Japanese and Chinese cultures. The Maneki Neko is a talisman that is believed to attract good luck and fortune for its owners. Thus, it’s very common to find a Maneki Neko on display in stores, restaurants and other businesses. Aside from finding it really cute, I never knew the meaning behind the “Fortune Cat” other than it was supposed to be lucky. Being a curious cat, I decided to delve further and uncovered five interesting facts about the cheeky little Maneki Neko. A Maneki Neko is also known as a Lucky Cat or Fortune Cat. Photography by Danny Smythe / Shutterstock. Fortune Cat is known as Maneki Neko in Japanese, which means “beckoning cat.” The cat has its paw raised as if it’s waving in good fortune for its owners. Other common monikers include Lucky Cat, Money Cat, Waving Cat and Welcoming Cat. No one can quite agree as to how the first Maneki Neko came to be. However, most will agree that Lucky Cats first appeared during the Edo period in Japan (17th century to mid-19th century). There are a couple of popular legends about the origins of the Maneki Neko. The first tells of a wealthy man who took shelter from a rainstorm under a tree next to a temple. He noticed a cat that seemed to be beckoning to him, so he followed it inside the temple. Shortly thereafter, lightning struck the tree he had been standing under. Because the cat had saved his life, the man was so grateful, he became a benefactor of the temple and brought it much prosperity. When he passed away, a statue of the cat was made in his honor. Another common legend surrounding the Maneki Neko is a really peculiar one. A geisha had a pet cat that she adored. One day, it was tugging at her kimono and the owner of the brothel thought the cat was possessed, so he sliced off its head with a sword. (Yeah, gruesome! 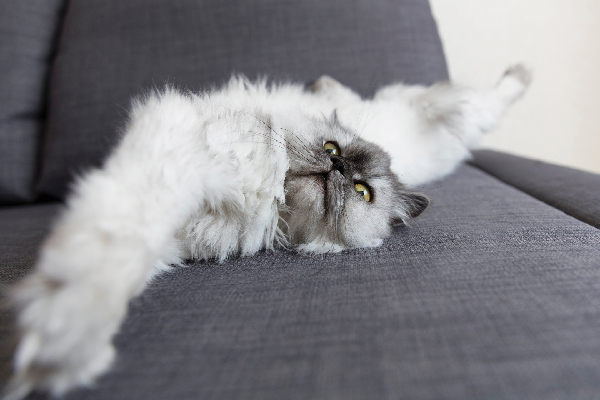 No cats were harmed in the writing of this article.) The flying cat head landed on a snake about to strike and the fangs killed the snake and saved the woman. The geisha was so distraught by the loss of her cat that one of her customers made a statue of the cat to cheer her up. There’s actually a meaning behind which paw the Maneki Neko cat is holding up. If it’s the left paw, this is supposed to attract customers. If the right paw is raised, this invites good fortune and money. They both sound pretty good to me, which is why sometimes you can find a Fortune Cat with both of its paws in the air. Two paws up can also represent protection. Different types of Maneki Neko, or Lucky Cats, beckon for different things. Photography by Olaf Speier / Shutterstock. While you’ll most commonly see a white Maneki Neko with orange and black spots, there are quite a few color variations of the Maneki Neko and they each have a special meaning. Maneki Neko is a finely dressed cat usually adorned with a bib, collar and bell. In the Edo period, it was common for wealthy people to dress their pet cats this way; a bell was tied to the collar so that owners could keep track of their cats’ whereabouts. A koban worth one ryo: This is a Japanese coin from the Edo period; a ryo was considered to be quite the fortune back then. The magic money mallet: If you see a small hammer, this represents wealth. When shaken, the mallet is supposed to attract wealth. A fish, most likely a carp: The fish is symbolic of abundance and good fortune. A marble or gem: This is another money magnet. Some people believe it’s a crystal ball and represents wisdom. Lucky Cats can also be found holding gourds, prayer tablets, daikon radishes and ingots. These items also represent wealth and good luck. Regardless of the name, legend, raised paw, color or item in its paw, you basically can’t go wrong with a Maneki Neko perched by your side. Tell us: Do you have any Maneki Neko in your home or place of business? Thumbnail: Photography by Olaf Speier / Shutterstock. Holly Tse is a Green Cat Expert. 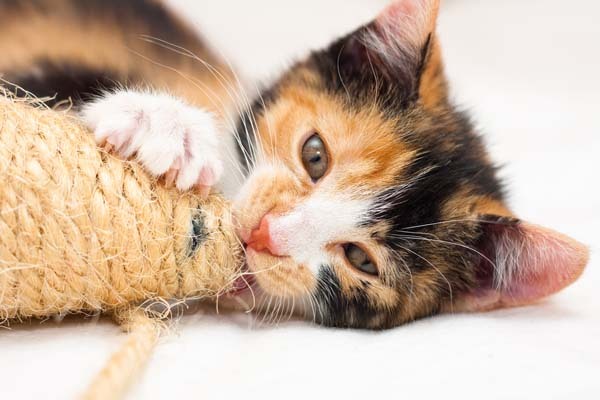 She is the author of Make Your Own Cat Toys: Saving the Planet One Cat Toy at a Time and the creator of GreenLittleCat.com, the longest-running blog dedicated exclusively to greener living ideas for cats and cat lovers. Her book, blog, and articles have been featured on Oregon Live, The Daily Cat, AdoptaPet.com and Catster.com, as well as in magazines such as All You and Feline Wellness. 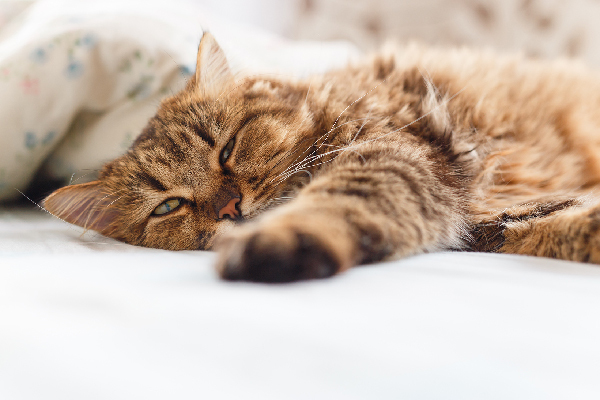 Holly is a lifelong environmentalist who draws her inspiration from her cat, Furball, who has been living an eco-friendly lifestyle since he was adopted as a kitten. 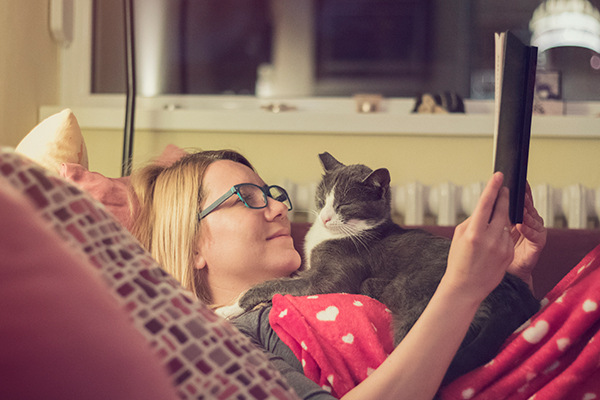 Holly’s mission is to green the planet one cat at a time by offering simple and fun advice for cat lovers all over the world. so sorry to hear about your terrible misfortune and the jobs that made you redundant. I’m glad to hear that you’re open and willing to try new things, such as placing a battery inside of the feline for good luck and fortune. May your gold chinese cat bring you all of the virtues that you seek, God bless! And be aware that which paw is raised means different things. When the right paw is raised it’s for good fortune or money. The left paw beckons in customers. I haven’t heard about it being good luck if someone gives you a cat, but a cat or dog that finds you, such as when you encounter a stray or one adopts you by staying outside your house, is good luck. While it is a Japanese tradition it was adopted by the modern Chinese and meanings, colors and designs changed. The Calico, Black and Red are original Japanese…Calico for Luck, Black for Health and Red to ward off Evil. Also the old Japanese representations had Bobbed tails not long tails. As the Japanese Bobtail is an ancient Natural Breed and tends toward the Calico coloration it is the basis for the Maneki Neko. Also one story had it that the traveler was actually Buddha in disguise. And since the Shrine exists today most tend to believe that story. I had one of this. They are good. My sister like it as I did. They are sometimes good fortune. Sometimes they bring good fortune if you believe in something. Believe, trust, motivation, and consistency bring the fortune. We make our own fortune. Well sorry to say they don’t bring the luck. I’ve see them at plenty of businesses that have now closed. Very lucky for the people who make them, they earn lots of money. I’ve been to the temple in #2. It’s a temple located in a suburb of Tokyo. It’s quite lovely and there are hundreds of lucky cat statues inside the temple. One thing you might not know is the significance of the downward paw. When beckoning someone in, the Japanese wave their hand with the palm downward unlike what is done in North America with the palm upward. This gesture is similar to the way cats hold their paw , for example, when licking it.